I have been thinking about the imminent times when SPU closes above 2000 and then to 2018 unchanged on year. Many sold out bulls will come in. There's no emotion more urgent and forceful than sold out bull. You just have to get in and not let the big rally you missed go up there without you. So the public buys when it goes to highs above key levels and sell when it goes below key levels. Thus they sell low, and buy low. With intraday swings often hitting 3% on a day, this is very damaging. But what is the reason that sold out bulls are so anxious to get back in and resent so much the marker rising without them. We'll have to ask Brett about it. But I have a theory. It's a sperm wars theory. The bulls are like the man who's going out with a hot girl and wants to have kids. The worst thing for him is to have another man get her pregnant. So his ejaculations have killer sperms in them that prevent other men's sperm from fertilizing the egg. The same emotion. It's bad enough to miss it yourself but to see someone else get the goods is worst of all. The market played me like a fiddle in January, and I lost more money than I had a right to. I had a terrible fear of missing the rebound, but at the wrong time in retrospect. I had this fear as the market's (and my) losses mounted on the way down to the initial low of 1804 on January 20. At some point, my position size (which I have now concluded was too large) forced me to exit in order to ensure survival. After the S&P 500 touched 1804 on January 20, it closed 50 points higher the same day. From that point, I felt like I was missing the rebound, but I was more afraid of the downside risk of revisiting that 1804 point. And even on the way up, the S&P 500 would abruptly drop by 20 or 30 points with some regularity, just to reinforce the fear of the downside. 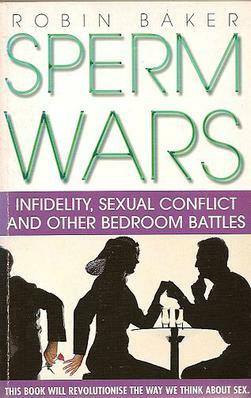 I like the sperm war theory. One thing I've consistently noticed on trading floors is that the mood is downbeat but not despondent when the great majority of portfolio managers are losing. When many are losing, however, and a few are making significant money, there is absolute despair. Similarly, when losing money, traders are downbeat. If missing a move that keeps going without them, they are tearing their hair out. Many have said to me that they'd rather lose money on a trade than not participate in a market move. And when a trader gets stopped out of a long position after a pullback, he inevitably roots for the market to go much lower (and vindicate his decision). The best traders distinguish between market movement and market opportunity. The worst traders treat all (random) movement as opportunity and excoriate themselves for missing "opportunity". Thanks for you sagacious observation. And of course there must be some regularities that issue from this phenomenon. Indeed! I recently encouraged a PM to calculate his P&L if he had bought the markets at the points at which he had stopped out. Sure enough, the stops brought negative alpha; his profitability would have been meaningfully increased had he not sold at the lows. Similarly, I encouraged a PM to calculate the P&L only for the portions of his positions he had added once his initial position had become profitable. Those added positions also brought negative alpha. The market can be a cruel mistress indeed! I noticed at the drug store today a modern devices like a wrist watch that reads your blood pressure, heart rate, and oxygen use. Some years ago Dr. Brett Steenbarger, a trading psychologist, talked about monitoring your vitals as you trade for beginner traders trying to get a hold of the excitement which might detract from decision making. Seems like these might be helpful for a beginner trader getting used to the stress of trading and practicing relaxing a bit under uncertainty. 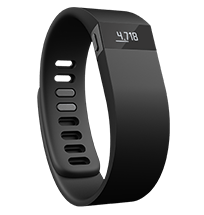 Yes, and the Fitbit devices can also be effective in helping people become much more data driven in their workouts. My current challenge is onboarding approximately 200 new traders in the next three months. While we have built sophisticated tools, systems, risk models etc., I have been becoming a bigger believer of the concept that "Who we are as individuals is how we trade in the markets'. I have compiled some of my own weaknesses and strengths and am trying to build a matrix of self-cognition for other traders to follow. It would be great to get the groups feedback on the thoughts below. 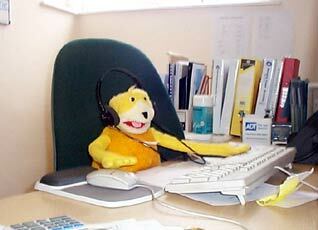 Understands and acknowledges that every day is different in the markets. Thinks only of himself and takes rash trading decisions - often willing to gamble it all. Interesting! The internal research we did suggests that cognitive variables are more important to profitability than personality variables. Personality variables had a strong relationship to trading style, not necessarily to trading outcomes. You are looking for professionals who respond to what seem to be the characteristics shared by most successful traders. But you can not standardize a trader, it's not a HFT robot. Bridgewater's Ray Dalio Simple Advice For Success: "Think Independently, Stay Humble"
"machine learning is the new wave of investing for the next 20 years and the smart players are focusing on it. "Bridgewater Is Said to Start Artificial-Intelligence Team"
The responses are interesting and in some cases the qualities of a good trader seem to be diametrically opposite to the qualities in the list I posted…definitely food for thought. Vic, please feel free to post on the Daily Spec…would love to get as much feedback as possible. Thanks. Mr. Buttan's List is a good list for a spouse I think. As to whether they are good for traders' success, one would not know. Some of the best salesman and traders are totally disreputable. I would think that one key thing for Mr. Buttan to do is to do as much of the trading in house as he can, thereby eliminated slippage and bid asked spreads and capturing profits for the house. Indeed if Mr. Buttan were to make his trading floor a central exchange for all Mideast trades, so that he can capture the spread, I think his idea might work. MFM Osborne always wanted to create an automated market making system, and it would be great to see that developed to ones' profit. I have a query for Mr. Buttan. Does he want me to put his list up on daily spec. It's a seemingly useful list, and it might get him some helpful feedback. 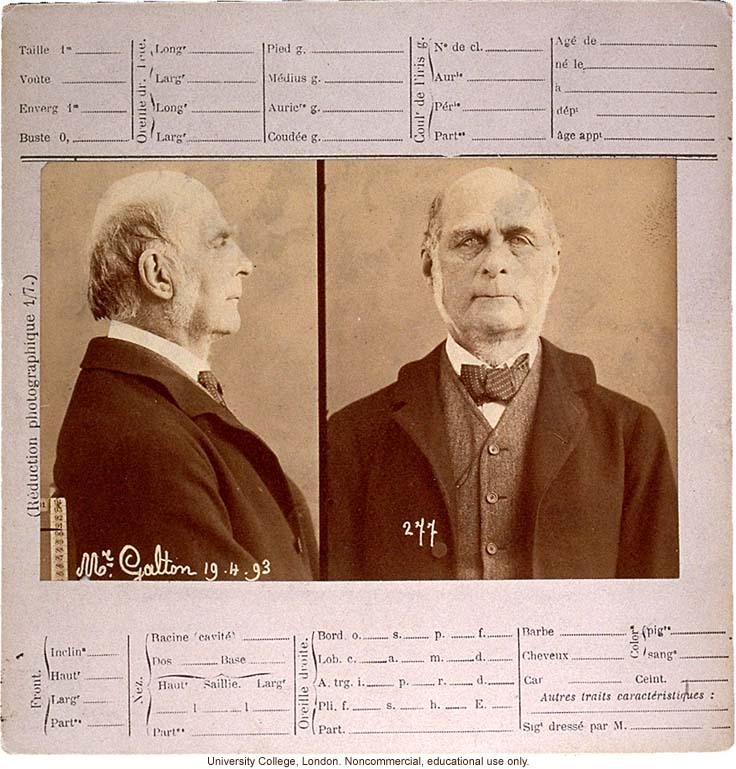 Galton always said the most important qualities for success were health, persistence, organization and a modicum of ability. One would recommend reading his work on eminence, which Jeff seems to have readily available. A good library would be great as a foundation for his traders. Yes, persistence in particular is important. The research on "grit" is relevant in that context. It is not necessarily the case that positive personality traits are associated with successful trading. Some of the highest Sharpe ratio PMs I tested score surprisingly high in negative emotionality. It is their fear/concern with the downside and overall vigilance that helps them achieve good risk-adjusted returns and avoid overconfidence biases. I would think putting the list on the Spec List would indeed generate useful input. "The people who are coming into the game, the creativity, the intelligence—it's unparalleled right now. 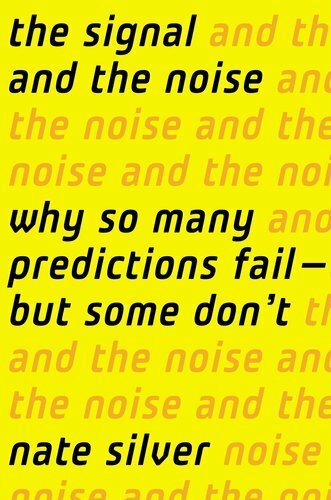 In ten years if I applied for a job, I wouldn't even get an interview" -Billy Beane quoted in The Signal and the Noise by Nate Silver. Silver knows baseball very well, and there are many insights and carry overs in his chapter on W's and L's in his book. Here are some of them. 1. Silver developed a system called Pecota to predict when a hitter was going to be good. He picked Petroia who became a Most Valuable Player whereas all the other systems missed him. He started out badly and then improved greatly. The principle of ever changing cycles applies to baseball as well as our field. While silver doesn't know anything about markets and his chapter on it is one of the worst I've read, he seems like an amiable personage. I like his humility. He goes up to Petroia to get an interview: "'No. I won't give you a minute. I'm trying to get ready for a Major League baseball game,' he said in as condescending manner as possible every syllable spaced out for emphasis." 2. In developing his system, he tries to weasel out skill from luck the same way Galton did. He doesn't like batting average but likes things like home runs and strikeouts versus walks. Would we be better by looking at how far down or up, the market was rather than the win or loss. 3. There is an aging curve. A player is good after a few years but bad near the end. It's sort of like the s curve for growth. Silver tries to capture which part of the aging curve a player is on and uses that to pick how much to pay a player. He doesn't seem to realize all the difficulties in differentiating between the 20 kinds of curves that are possible, and the predictivity of making assessments even if you knew the curve a player was on. It's very similar to the problem we have in looking at similarities. Which are the variables to measure, and even if you could find the most similar would that be predictive. Neural networks is based on the similarity algorithms. 4. Bill James comes up with a similarity rating starting with 100 to see how a player compares to other greats. Seems to use linear distance. Much of James work should be applied to markets. The trend follower who lost so much who's now the baseball owner should have used James as his chief speculator rather than following blindly the moving averages. 5. Silver concludes that scouting + computers is better than just computers. I believe that no system is good without judgment and the question of clinical versus objective rating is a ongoing debate in psychology. 6. Silver actually evaluates his predictions versus the scouts and concludes the scouts did better. One has to compliment him for his objectivity in making such an evaluation. It is amazing how few of the forecasters in our field actually provide an evaluation. 7. Silver points out that everything about baseball is encapped in the score cards and the videos. He believes that baseball is the best slate, the most detailed and accurate base of operations for forecasting. I wold say that our own field where tick data for all trades is available is just as good. 8. He comes up with 4 factors that go beyond the statistics that are good for evaluating a player. Preparedness, concentration, competitiveness, and stress management. It would be good to have Brett's take on these factors. They all seem reasonable and might be applicable to our field in choosing employees and partners but they are untested. I would think humility would be one of them for our field as well as hard work. I like that Petroia never wasted a second but tries to play his hardest even in the warmup. That's what I like in a trader and how I tried to be in racket sports also. are cognitive strengths, not just personality. Thank you very much for the great Spec gathering. It was very good seeing old and new faces, and always good to see you. The highlight of touring the orchid exhibit at the New York Botanical Garden was the commentary of friend and mentor Victor Niederhoffer. At one point he made a wry comment about one of the exhibits, which described how plants were used in folk medicine. He opined that Ayn Rand wouldn't have liked the exhibit, as it glorified practices that were filled with mysticism, subjectivity, and overall mumbo-jumbo. My reflection, however, was that Ms. Rand–in epistemological benevolence–would have distinguished between pre-science and anti-science. The ancient astronomers lacked the tools of their modern counterparts and yet attempted to ground their work in the observable and measurable. Anti-scientific mystics, on the other hand, posit realities that by their very nature are non-measurable and unverifiable. Earlier in our tour, Vic had mentioned the early technical analysts, who hand-posted charts and used compasses and protractors to measure angles and trends. Much of this was pre-scientific work, not necessarily anti-science. Lacking computers and algorithms, the early pioneers of market analysis resorted to the tools and techniques available during their era. That many of their conclusions did not stand the test of time does not alter the fact that they were engaged in efforts at objective observation and measurement. This is quite different from astrological and numerological theories of market behavior that were so imprecise–and so able to cover all possible circumstances–that they could not possibly add to scientific understanding. There are "moneyball" opportunities in the pre-scientific observations and measurements of dedicated traders who make sincere efforts to "count". One can find their work in the better blogs and tweets across the web. Such work is fertile ground for promising hypotheses, even as it must face the rigors of scientific scrutiny to be accepted as conclusions. Technical analysis is the folk medicine of financial markets. The rational folk doctors of past eras found plants that truly had healing power. Indeed, 30% of all current prescription drugs come from such plants, according to the NYBG exhibit. Some of today's market folk doctors–those truly devoted to observation and measurement–may find equivalent remedies for ailing speculators seeking market truths. P.S. I have spent the better part of this morning quantifying a blog's informal observations about support and resistance and have found interesting patterns worthy of further study. Such is the benevolent influence of a garden walk with the Chair. Here are the three most important things I've learned from you and the DailySpec. 1. Count. Then count some more. If you see something you think is promising, capture it in a statistical test and see–first hand–how correlated it is with what you already know and how much variance in prospective price change it truly accounts for. There is no better antidote for overconfidence bias (and no better stimulus for humility, objectivity, and perspective) than to rigorously test one's ideas. 2. Explore. What you observe in nature, human events, music, and so many other facets of life can teach you a great deal about people and markets. Some of the best market inspirations come from being away from markets and absorbing wisdom from insightful people, good books, and the arts and sciences. 3. Achieve. Half of life's battle is staying young-hearted and benevolent in spirit. There is no better barometer of a person's sense of life than seeing his or her emotional response to great achievement. Being young hearted means staying inspired and always pursuing new vistas. It means reveling in the best of others and thereby fueling the best within us. I believe that most of us including me, consider Brett one of the most sagacious personages we've ever had contact with. He says explore exploring "what you observe in nature, human events, music, and so many other facets of life can teach you a great deal about people and markets. Some of the best market inspirations come from being away from markets and absorbing wisdom from insightful people, good books, and the arts and sciences." I thought it might be useful to explore if there are some things we learn from sports that might be useful in markets. I have some ideas along these lines like offense wins the game more than defense. The home team always wins. The first blow is half the battle. Wins by a few points are not indicative of future success. The lucky shots and lucky wins tend to reverse. The end of the game tells the form. Slow and steady wins the game. The horses change at the beginning of new season. Start young if you wish to achieve mastery. Don't play your opponent's best game. You can't run with the hounds and play with the foxes. I haven't quantified many of these ideas, but some I have. But Brett seems to imply that big ideas even when not quantified (perhaps the counting can come later ) can be useful. I'd like to hear if any of you have ideas from sports helpful for markets, (other than that Smith and Antoni are the curses from the Bad One). Focus on developing a good base of fundamentals(trading principles/methodology) and follow them, gimmicks and tricks will only go so far at higher levels. Play to your strengths, don't trade others ideas or positions. Longevity and being able to stay in the game is key, you can't win if you are ejected from the game. Maintain balance, overreaching and thinking you can master many markets often spreads one too thin. Cross market feedback mechanisms(how does a slowdown in China impact Brazil, etc. ), skills in one sport are often complementary to others. Discipline and routine, when this change it is all too easy get off track. 1. Big waves come in sets, and rarely is the first the biggest. Never take the first wave. 2. Trust your board. Stay on it as long as you can. Riding until the end of the wave is the safest exit. 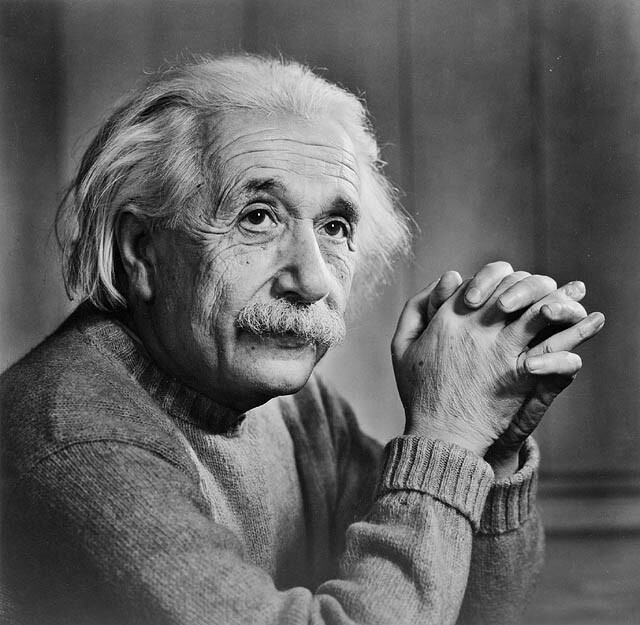 A lesson I learned from Einstein is the benefit of being able and willing to changes one's mind. At times a pacifist, he changed after witnessing the rearmament in Europe. In physics and science in general when presented with new evidence it is quite normal to revise theories and mathematical proofs, or even to reverse a position entirely. Putting ego aside, he did this many times, most famously dropping his famous Constant variable regarding a static universe when through experiment it was proved no longer necessary. This is skill which comes more naturally at a younger age, but is quite possible for the post 40 crowd as he demonstrated in his long career. It seems to be increasingly clear that part of Einstein's long term productivity was due to his long walks often with Godel. It makes me think of this article: "Exercise Grows Brain Cells". Dr. Brett S. maybe able to clarify, but it is my understanding that some of the latest ground breaking research shows that "changing your mind" is more than just a figure of speech. It appears that meditation can reroute the neuron wiring especially between the regions of the brain. This may also produce new brain cells. Or perhaps it uses the new cells produced to strengthen the bridges between regions. The capacity for rigorous thought; the flexibility and resilience to adapt to changing circumstances; the love of disciplined risk-taking; the hungry intellect: perhaps successful speculators already display those qualities in other life domains and then learn to apply them to markets. Theories propounded by market experts are sound but very few people profit by them because when once caught in the maelstrom of stock speculation, the average man becomes more or less mesmerized and at critical moments his conservatism, his resolutions, and his theories all take flight. One doesn't agree that the theories of market experts are sound. Most of them relate to meals for a day, and selective memories of things that seem reasonable. They don't take account of ever changing cycles, and the fact that whatever worked 3 years ago, which is the average minimal time for a theory to hit a book and become popular, and reported by the services, is very likely to have an opposite effect at the current time. People become mesmerized by overtrading against their ability to lose. When they lose too much, they get stopped out by their brokers or their partners. Holidays are particular times that people get stopped out of or mesmerized because they don't wish to ruin their holiday, wait for the extra day of risk, or their partners tell them such things as "are you going to ruin another July 4th by watching the market every second of the day, and worrying about paying the bills?". It's happened to me. The real secrets of stock market success remain locked up in the bosoms of a few who are too busy to write, and too rich to feel the need of writing. The secrets of stock market success are to have a good foundation, strong at the base with heavy capital supporting it. The banks can have stock market success because they are able to leverage themselves 100 to 1 and borrow at the funds rate, and be bailed out by their current, former, or future colleagues but most don't have that ability. Thus, the market is a series of highs and lows with the weak getting extricated by lack of a proper foundation at each gyration. One of the worst things is to read about the best great things I did in trading as if the trades were recurring, they wouldn't be written about or if they aren't recurring then probably you should do the opposite the next time. Even if I had a method that worked, I couldn't reveal it because my partners and family would be upset with me. I don't have a method that works, although if so many of my former colleagues didn't borrow my methods of using statistical interrelations of multiple time series varying ever hour of the separate days, I believe that such a method might have had legs. There are doubtless other methods of making money in markets, but one finds that the edge that HFT boys with their better equipment and capital have on individual stocks precludes such methods for short term in individual stocks, and the long term purchase of stocks requires deep insights above and beyond the average that it is unrealistic to expect one person or group to sustain over different market times. Many of the rich people I know are happy to be interviewed on television as they can talk their book and get people to follow them so they can increase the wave they started by talking to their colleagues and brokers after they put their position on. Also, to show that they are common people, supporters of the masses, in favor of redistribution, so that their natural adversaries at the legislatures and the service will realize he's a fellow traveler. The others who know how to make money are careful never to reveal a thing as information flows so quickly and it just takes a few big funds or traders to turn something profitable into oblivion. The gyroscopic action of the prices recorded on the ticker tape produces a sort of mental intoxication which foreshortens the vision by involuntary submissiveness to momentary influences. It also produces in some minds an effect similar to that which one feels after standing for a considerable time intently watching water as it flows over Niagara Falls. Dozens of people have committed suicide and been dashed on the rocks below after so watching. I am not familiar with the research that supports this tendency to suicide but I have experienced similar sensations. And there does appear to be some contagion in suicides. As prices go against one, I believe that the latent self hate of many people for their sins is manifested and they achieved their desire to go broke to atone for their sins. The tendency to suicide when watching a trend is something that would seem to have market implications as new contrarians are drawn in to be thrown into the abyss by going against the flood time after a certain mesmerizing flow. To be continued. Only on p.13 of my notes on book so far. I agree with these observations and analysis. There's one way that still works in getting rich and that is to buy cheap. W.E. Buffett still does it, and so does Trump. Making a fortune by the statistical approach is much more difficult, however, if you're lucky enough to get in a new game, such as options in the '70's and '80's ,or 21 in the '60's math works fine. Having been there, done that, I'm not as math oriented in my trading as I was before and I try to buy cheap. I found Hagstrom's book on Buffett helpful when trying to buy cheap. However, I have my eye on a relatively new game that I'm studying to see what can be done there statistically. Traders in Eurupe are much more focused on the European woes than the US traders. As a result, they've been much more bearish, would it not be for their conviction that a massive monetization of debt will ultimately save the day for bulls. I absolutely love the notes you've taken. The idea of themes setting themselves over a period of time to be followed by their opposites is such an important one…HFT has seemingly speeded that process. The Niagara suicide phenomenon is a tricky one. Is it a leap out of mesmerization or a leap out of guilt and atonement? My own observation, fwiw, is that something additional can be at work. Many traders tell me that they would rather lose on a move that they incorrectly anticipate than fail to participate in a move that goes their anticipated way. In other words, the pain of opportunity cost is greater than the pain of actual loss. From this perspective, the most painful scenario is one in which a river becomes Niagara and one is not riding the current. I've seen traders sell stretched markets to the downside, buy upside breakout after breakout, and refuse to exit trades moving violently against them simply because they could not bear to miss the move they think may happen. At some point, it does have a quality of Japanese seppuku: out of honor they will stay with their failing positions and fall upon their financial swords. From that perspective, perhaps it is better to die with one's convictions than to have abandoned them and face the shame of missing their fruition. Your idea of "foreshortened vision" as a result of mesmerization of watching the screen is absolutely true. I tell traders that we inevitably trade the time frame that we watch: it's a natural function of (often flawed) human pattern recognition. Trance states are poorly understood and appreciated, and I suspect much paradoxical trader behavior might be explained by the lapsing of critical, rational consciousness and the hypersuggestibility of the trance state–especially among daytraders. Hence the worthlessness of most psychological intervention with traders: one cannot solve problems while in a different state of consciousness from the ones in which the problems occur. It may here be explained that the mental attitude of a "sold out bull" toward a rising market is much the same as that of a bulldog chained in his kennel while a dog fight is going on outside. A speculator may stand by and view with unruffled complacency the most enormous profits of others in securities that he never owned, but if one of his own pet stocks continues to advance after he has sold out. It not only reflects the error of his judgment, but the remorse he suffers, in contemplating the additional sum he might have made dampens all the pleasure of reflecting upon the profit he actually did make. Reluctant to admit such a costly blunder in judgment, determined not to be surpassed by his fellow-traders, and fused with the victor of his recent exploit, when Union Pacific was selling about 215 the "sold out bull" put in an unlimited order to buy five thousand shares. When his broker on the floor of the exchanges began bidding for this amount of stock, the crowd instantly surmised that some big operator was being "squeezed on the short side, and before the purchase was completed the price had jumped to 229. The sold out bull eventually died on the Bowery without benefit of friends or money to pay for the funeral. "The lodge had to pay for the funeral" and my father might have had to carry him down from his Bowery walk-up to the morgue. The whole subject of regret theory and contrafactual reasoning is so diffuse that it can explain any phenomenon and predict nothing. On one hand, it explains the tendency to take profits too fast as being a feature of regretting to lose what one has. On the other hand, it explains why people buy too high or sell too low from the standpoint of missing the big move. If such a phenomenon as "sold out bull" exists in real life, then it should lead to excessive moves when markets set a new high after many have sold out at lower prices. It would explain why support and resistance is always broker. Why when an area of great volume of trading at a price occurs, and then the price is exceeded, the bulls become more agitated and buy. I've seen papers that say that regret theory supports the notion that "support and resistance barriers should not be broken. A good study of the psychological literature is contained in this paper. 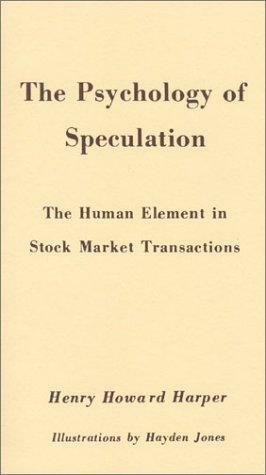 Thoughts on the Psychology of Speculation by Henry Howard Hopper published in 1926 and then reprinted by Fraser Publishing Company. The book is excellent on many different levels. I like most that it talks about encompassing principles of human nature. Not the trivial made up ones of behavioral economics but broad human tendencies that are crucial to how we make our decisions and go about living our life. Included among these broad human tendencies is the tendency to go crazy when you see a massive flow in front of you like the many who commit suicide in Niagara falls after seeing the water flow and the many who lose their minds as the market goes up. Also paramount is the incredible ennui that a human feels when something that he formerly owned goes thru the roof in other hands. I also like the many market periods of boom and bust he covers including the fantastic bull market of 1915 in the middle of the war where stocks of many a sage speculator was short skyrocketed by 15 fold or more. "He did not live to see General Motors at 850 on October 25, 1916," as his broker was forced to sell him out well before hand and "he had crossed the bar into the great beyond". Like my father's experience in the Bowerey where he had to cart the bodies away when they couldn't pay the rent after dying from gambling, "the widow was left almost penniless and he was buried at the expense of the lodge". I like also the colorful vivid language so characteristic of the roaring 20s that makes on wish one was there and feel for the every emotion that he elicits. I like best the last words he repeats of a short seller who made a fortune in leather goods and then lost it in the market through shorting. "In the past year I've suffered every torment known to the demons of hell. My only grain of comfort is that it's all over now and I have nothing more to lose." From this tragic experience, the author concludes "there is but little comfort or profit to be gained on the short side of a protracted bull market". I will give many more incisive but pathetic recollections of the failures of speculators in the favorite stocks of the 1920s: General Motors, Studabaker, Union Pacific, Anaconda, Calumete and Hecla, Bethlehem Steel, et al. Let's say for argument sake that, a la Atlas, an inventor develops a motor that eliminates the need for gasoline. In a single stroke, energy costs are reduced by 90%, creating massive savings for consumers and industrial producers. There are some who would eagerly buy on the news, anticipating an economic renaissance. There are others who would angrily pronounce this a temporary respite from the world's parlous condition and short the first market bounce. Bullishness and bearishness so often are a function of character, reflecting how people wish to see the world. The disappointment of some bears that the recent earthquake was not more catastrophic is more than a bit eye-opening. Afterwards I looked up the following and was not entirely surprised, as years ago it had been pointed out to me that in basketball, defense in terms of points allowed is largely an illusion. The reason being is that it is less an indicator of dogged fundamentals on the part of the defenders as it is a function of how capable those same are of scoring when they have the ball. For the overwhelming part of any basketball game if a team can score with alacrity, they generally do. And, unless it's in the waning seconds of a quarter other than the fourth, the game clock is an afterthought. But if a team is saddled with poor shooters and otherwise less creative opportunity makers on offense, they tend to use most of the 24-second clock looking for somebody to get a lesser contested look at the basket. The Knicks in their present form can score. But by being nimble with the ball, they lengthen the game in that they give the opposition more possession and, thus, chances to score. Presently, out of the 30 NBA teams they rank a sterling first in points scored, but a lowly 28th in points allowed. And notwithstanding their overperforming record so far this year, 16-10, it's illuminating to note they're doing all of this with a scoring differential of less than 2 points per game. In the long run it might seem that they would be hoping that the vagaries of a coin flip suggested by that thin a margin would continue to smile on them. Over the course of a long season, that's asking for a lot. In the media accounts of this game it will be noted that the reason that Boston won was solely because Paul Pierce hit a money shot with but 4/10ths of a seconds left and A'mare Stoudemire's heroic answer to such came just an even smaller fraction of a second too late. But I would maintain that's not why they won the game. 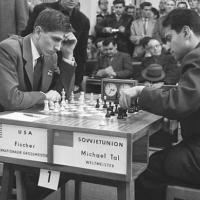 They won the game because their earlier tenacious adherence to a fundamental put them in a position to win the game. They were a perfect 21 of 21 in free throws. That's why they won the game. There are parallels to this in most every human endeavor. That is, putting oneself in a position to have the optimal chances of success. A task much easier written than consistently done. Shades of my friend Dr. Brett adds to the analysis of this game. The Knicks lost because of a personality disorder in that they gave up two technical fouls and lost possession and the 2 points. They keep high fiving themselves and showing off for their fans, and he coach allows them to explode their emotions on court. It is loathsome to see the coaches terrible strategy of helter skelter shooting holding back such a good team with the best player on the league on the team able to shoot from inside. About the coach allowing them to explode their emotions on the court, check out the Jets in that regard. The coach there has allowed them to become the pariahs of pro football while the players on the other teams openly question what in the world are these guys basing their considerable conceit on. How can they theoretically be cocky when they haven't won a Super Bowl in over four decades. Haven't even come close. Now that is a textbook example of a collective personality disorder, a DSM code waiting to happen. Presently the Knicks are an outside shooting team, attempting and making more 3s than anybody else in the league. As such, they will live and die by the hot hand. That's unduly risky. A structurally flawed strategy, begs fate for an edge. Can only last for as long as fortune's fickle window remains open. And by way of a market heuristic that might buttress the above point, over the educational years I've had mountains of my out-of-the-money calls expire worthless. Though I wish a little less of it would not be initially lost on me. In life's racetrack, bet on the workhorses, not the show horses. Distributions of returns, conditional probabilities of having a winning period after a losing one (and vice versa), performance under differing/changing market conditions: much of a speculator's psychology is revealed in their stats. Same for basketball players: assists to turnovers, number of times making it to the free throw line, offensive vs. defensive rebounds, etc help define the workhorses. The wise speculator utilizes this confusion and frustration as information: they often are early signs that something meaningful has shifted in the marketplace. The proper intervention in such circumstances is not to quell the frustration with psychological exercises. Rather, it is to extract the information from the situation and feed that forward into strategy and tactics. Very often, today's bad trade was a good trade in yesterday's regime: there is information in that. One of the most common and one of the most intense irrational fears is the fear of public speaking. Even the best speaker can lose his cool giving a spontaneous speech in a high stress situation, say at job interview or meeting the in-laws for the first time (I believe they make movies about this one). On the other side however, one of the most common forms of self-destructive behavior is saying too much. I believe everybody has had an experience where they have said something in anger, spite, arrogance or some other irrational momentary emotion, destroying or badly damaging a valued relationship. Many of the most miserable people I have known are constantly spitting out acidic words, chipping away at others, often at those beaten down souls closest to them. I've have been going to a Toastmasters club most weeks now for over a year to help me overcome my fear of public speaking. And while I believe that the Toastmasters meetings were helping me, perhaps I made my biggest breakthrough once I realized that for me, and perhaps for most people, the problem boiled down to one word. This word, which Aretha Franklin spells for us, is r-e-s-p-e-c-t. We all crave this in our relationships. The reason that respect or acceptance and esteem can cause such irrationality is that we develop many of our conditioned responses when we are toddlers and kids. Our ideas of respect get greatly distorted as a kid. It is almost impossible for a kid to understand that their parents reactions may have nothing to do with them. Further given that parental/adult acceptance is seen by a kid as such a necessity for their survival, many distorted and warped views can develop. 2. that they should only worry about what is tested. Curiosity beyond the known is not encouraged. But as adults we admire the discoverer, the explorer, those that do not accept the standard answer and therefore come up with a better one. 3. Excelling at the subjective is a waste of time. But as adults we admire the artist, the actors, the great orators. 4. Kids are to be seen but not heard or not to speak unless spoken to. But many of the highest paid jobs are for the salesman. 5. Respect adults and discount a child's understanding. Many people are like me, they are fine talking if they are sitting down. But make them stand up and suddenly the primitive brain kicks in… and many of these distorted views from childhood on acceptance impulsively take over. It seems to me that much of the Toastmaster's system is designed to get you to rethink and recondition much of that training you received as a child. Everything is critiqued, however, all suggestions for improvement are supposed to be sandwiched between praise. At each meeting everybody's grammar, filler words (such as "um", "ah" "and" or "so") are counted and everybody is timed. Roles are assigned to each element of the evaluation (timer, grammarian, wordsmith, etc. ), and before each evaluation, they are to explain the goal in their critique. The speeches for the day each have a specific purpose to help the speaker improve. Usually this purpose is rather subjective, such as "vocal variety and quality" or "getting to the point". Every meeting has chances for impromptu speaking, standing up and giving a 1-2 minutes speech on the spur of the moment. Even the meetings themselves are critiqued. The overwhelming implication to all this is that improvement is the most important thing, that any problems can be overcome, and to build on what you did well. I was seeing some improvement in my fear factor as I went to these meetings. However, I think for me the big breakthrough was realizing not just that these fears were irrational, but that they came from my distorted views of respect, acceptance and esteem developed as a child. Not that my parents meant to teach me this, but this is what often develops, within the simple mind of a child, trying to interpret the motivation and meaning of an adult's training. Only once I started going through my fears one by one and seeing them as an adult did these fears dissipate. I think I stopped believing in these fears. Instead I saw them as "a" childhood interpretation of what I was taught, when there were really many, often much more valid possibilities than just that simple one sided interpretation. Often what I considered my parents "response", was simply AN interpretation, one of many, that I developed as a child. Another interesting thing I learned at toastmasters concerns body language. For instance, for the impromptu speech, I have learned to listen closely and intently to those asking the question. I consciously direct my body language to suggest that I am hanging on their words. Then when I respond, I relax. I listened closely to them so I have "earned" their attention. I repeat their question, often putting it into my own words to show that I got the emotional part of the question they were conveying, not simply verbatim rote repetition. It shows I cared. Hence as equals they should listen to me. Why should I fear them being bored or inattentive? It would appear that ramblings and shouting are also an effort to gain respect. General McChrystal spouted off to the journalist apparently because he felt slighted by Obama's "indifference". Understanding these triggers and detonating them before they explode can help control the tongue. For example, if you are in a heated argument standing up, try sitting down. Bring them in closer. If they are a loved one try holding their hand. In contrast, if you are confiding too much, stand up. Distance yourself from them. Of course seeing these situations for what they are in the moment rather than after the fact can be difficult. Yet, if these kinds of situations seem to occur too often, perhaps reconsider whether your motivation and view of respect and acceptance might be a simple child's interpretation and consider how it might affect the situation. Likewise one speculates that such recurring problems in trading and investing could also be improved by reviewing your childhood understanding of how to gain respect and acceptance. One also speculates if standing to make a trade encourages one to be more aggressive, while sitting more passive, and whether other body postures could help. Say when you are closing a trade, try standing to be more aggressive. An aha moment for me about being self-conscious came in my early twenties at some point, when I realized that people are far more worried about what others think of them than what they happen to be thinking about you. Their pre-occupation with themselves is deep and permanent. Their pre-occupation with you highly transitory– especially in an arms-length engagement such as a public speech. Also, people will tend to be empathetic. If you slip up, most will not be thinking "what an idiot!" but rather "I'm glad it's not me up there". Once in a while I'll see a guest on a business show that looks really nervous and is clearly struggling. I start to feel uncomfortable for that person, mentally cheering them on, thinking to myself "come on, get it out, get it out…"After that, for me public speaking was more about being prepared, and finding ways to keep the audience interested and engaged. If you do have to wing it, stories and anecdotes are a good way to come up with something on the spot. Usually you can relate something from your past to the current situation. People generally love to hear stories. Also someone mentioned to me years ago, "just think you're talking to your best mate" But preparedness seems to help…Tim Ferriss is never far off the mark. His article Public Speaking: How I prepare Every Time is great. Yes, understanding the truth that people are not that focused on you because they are thinking about themselves helps. However, often when the fear is impulsive, simply knowing what is right is not enough. Think of some common phobias: fear of heights, germs, etc… most often the phobic knows the fear is irrational. People are great at holding two incompatible ideas in place and impulsively choosing the irrational one to act on. What I am suggesting is that you kill the root of the impulse– your distorted belief that is causing the fear. I am suggesting you do this by re-interpreting your childish beliefs caused by a childish interpretation of the threat. To do this you have to dig deep and figure out what your fear is. Is it making a mistake, looking stupid, indifference or several other common fears? Then you re-interpret that childish belief, for example, that adult esteem = survival, from the adults perspective. Once this is thoroughly done, what I found was what was once held as a "truth" is shown as an immature interpretation of the situation. Hence using both, killing the old belief and giving a new one in its place can end the impulsive fear. Further, I am suggesting that using this dual method, can improve many areas of our life. Perhaps most if not all of the hubris in trading may stem from similar simplistic childhood misinterpretations of the situation. 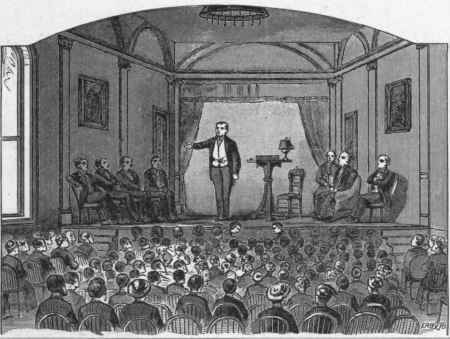 Taking a theater course or a stand-up comedy training seminar may help by pushing one's self into deeper water and then one could recede back and take a public speaking course to put structure around the process of public speaking. I am lucky to be gifted in public speaking, but scared of stand up comedy–which I think I could do but I am frightened of people not laughing, and thereby having no defenses against ridicule, or of an unloving crowd staring back at me and not laughing. If I was to pursue it, I would do a lot of structure: rehearse, tape myself, fine tune, do small test groups, ask for feedback–seems like a job now. I have a tendency to become red-faced when embarrassed or in some terrible stressful moment. If this happened during a routine –oh no. I would have to come up with some sort of routine if it happened–draw the audiences attention to the red face and use it somehow as a joke routine–turn the disaster into something funny. I remember playing in a poker game for the first time in multi years (3-4 years ago). There was retired cop at the table (9 or 10 people) and I was bluffing in a showdown hand–I could feel the heat coming into my face and knew that I may get called because of it. The guy folded to me and the cop from the other side of the table said "you gotta do something about that red face of yours" then everybody stared at me and then everyone busted up laughing. The cop said that in interrogation rooms he learned a lot about lying. Needless to say as time went on and practice makes one better, the red face doesn't appear at the table anymore. Surprisingly, people say I am funny. 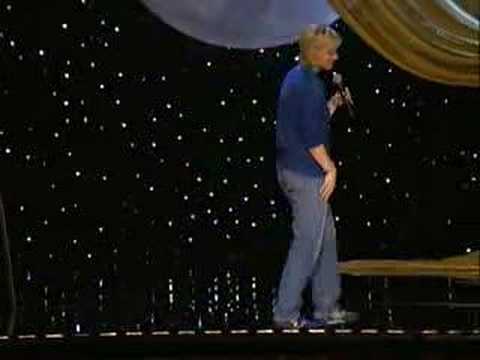 I seem to have little problem coming up with a spontaneous humor during a speech. I have found that if the audience understands that you yourself are the biggest target for your jokes, that you do not take yourself too seriously, they are much more willing to give you liberties on almost anything and find it funny. As Ken implies making fun of yourself, almost always gets some attention, if not laughs. As far as bombing goes, the best comics sometime threw in bad jokes on purpose, just so they could make fun of the hole they had dug themselves into. However, Toastmaster's club is doing a humorous speech contest and we will find out how funny I really am. It's a very interesting topic. Where I might differ from Russ is that many of those irrational impulses are less the result of distorted beliefs and more related to emotional imprinting that bypasses critical, rational awareness. Edna Foa from U. Penn has done very interesting work in this area that is relevant for those engaging financial markets. One is impressed after reading about Edna Foa's work, in which significant change can be measured in Vets suffering from PTSD, in only 12 sessions, by getting them to focus on the emotional events and the trauma. How does this relate to much smaller "trauma" but perhaps, much more frequent conditioning. Say taking tests weekly at school, and the learned emotional implusive response about exactly how to please the teacher and parents. Does focusing on the emotional take less time to "correct" the irrational impluse, because the "trauma" is not intense at all? Or does it take more effort because the conditioning was wide spread and reinforced often? Further, what does such ingraining in children teach a parent to do? Make sure that the child knows that your esteem for them is based on a well rounded education with plenty of real life experiences? What would you recommend for my girl who upon entering high school last year is showing clear signs of test anxiety, especially in Math? It is interesting that in the recesses of academe there are a few Galtonian souls studying the psychology of music empirically. One thrust pertains to analyzing both speech and music according to pitch perception; how we view music and speech may be quite similar. A commentator on the latter article notes that you can accurately predict an animal's size from its pitch. Do markets have pitch and do they invite psychological responses with messages of submission (come hither) and dominance (threat)? Could we explain behavioral finance phenomena in the same terms as behaviors in the wild, communicated by the pitch of animal sounds? It's a fascinating literature. Rhythm (shifts in frequency of ticks) might just be a consequence of pitch, as speculators respond to market communications. Perhaps it's no coincidence that rising markets are so inviting; falling markets so threatening. Emotional stability in musical rhythm goes a long way on the road to complex weaving of interactions. It is best not to get too carried away with the music as it is occurring and to keep an observant eye on possible upcoming change ups in the rhythm, however, not to be so observant as to get cold. In my capacity as a producer of commercial types of music one of my most important tools is the use of tension and its undoing. I would tend to think that as human beings we would react emotionally to the tension in a universal way, the shiver that runs down your spine when you hear a section of a particular song. Breaking away from the expected syncopation in such a way as to capture the attention of the listener, not as a total distraction but as a way to lead the listener into the enfolding polyrhythm. One cool way to capture attention is to have the band just stop in the middle of the verse, for one beat and then continue on as if you never skipped a beat. You can usually only get away with that one once per song. A technique I have been using for awhile to further the management of syncopated air-pressure is the use of a "ghost track". Rather like an "invisible hand" simulation in that music is played on top of a prearranged rhythm and then that rhythm is removed from the mix as it were. The ghost track can be a drumbeat, a whole other song or just about any kind of rhythmic audio. Tempo and rhythm modeling can help the music to feel more spontaneous as even the best musicians will tend to play up to and around the beat. After the original beat is removed the music is left precariously dangling on its own. So thereby combining multiple musical performances that dance around a beat that is not there provides a sophisticated allure. 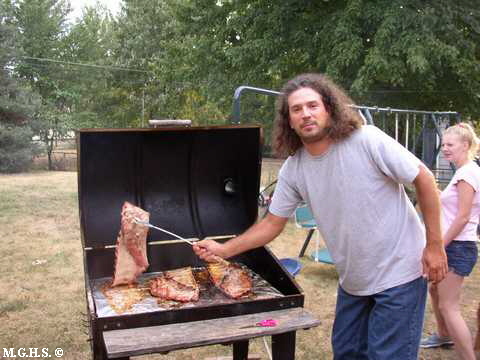 Adding random elements in a sprinkled fashion music production could be like BBQ. Much testing is required. After I finish many performances I will always look around for other drum tracks of the exact same speed (tempo) and slip in and review many beats just to see what I might be missing. The question can become which track is the ghost track and which is actually the track. Many of these questions are left for the final mix in which a systematic top to bottom approach is always the way to go. For instance the kick drum is the first level set so that every vibration is set in relation to that level, the snare might be second followed by the bass and a rhythm guitar or keyboard. Next the lead vocal followed by high hats and solos. Special effects are always last. There is a direct correlation between understanding rhythmic vibrations in music to market tension. It is the ability to absorb the tension in a cool manner. When a random gyration begins to make sense my emotional response is to trade because I feel that I am in sync with the mind of the mistress. By stepping outside of the song in my mind I can see the vibrational landscape in a more objective fashion. It is a duality of experience to be able to hear the music in my imagination and then to create those exact imagined vibrations in the same split second. The markets are like songs just begging for solos. The unrealized vibration that we can imagine in the price changes are calling us to jump right in and start soloing, however if the ghost track is removed after you have jumped in you will find yourself quickly hoping for the song to end. 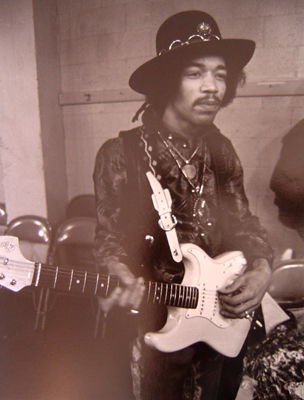 Jimi Hendrix was great in his ability to start playing a different rhythm in the middle of a song and to stick to it even if the drums and bass were doing something different. So too, reading all the market tensions but to not be drawn in by the emotions, so as to coolly carry out the plan. The tricks that a composer will use to get the listeners attention are similar to that of the mistress. How far can Robert Plant stretch that note? How far up can the price go? One thing I've noticed about rhythm is that you've got to feel it in your body. If you are busy counting 1,2,3,4 in your head, you've already missed the beat or it starts to get mechanical sounding and stiff. Sure it can be quantified, sliced and diced, and put into numbers, but it is only the hours and hours of practice, of feeling and living the music that mean a musician can feel the beat. The rhythm is more than a count, there is an unquantifiable element that allows it to swing, to move in and out of the beat, a fraction before, a fraction after, and pulsing and changing in unpredictable cycles. It is what gives live music its life. It is why a canned computer drummer sounds so dry, so dead and uninspiring. Hours, days, years watching the markets gives the same feel for the rhythm. This is not to say that quantification and study will not give understanding about the structures, the chords, the main time signatures, but the discretionary element to me is an integral part of the process that numbers alone can not totally replace. It isn't too difficult to follow established rhythms and melodious sequences. What is hard is to recognize changes the first notes of which sound familiar and sweet, but devolve rapidly into deadly arrhythmia. I agree that you don't have to count simple forms, like blues or AABA stuff, that is so internalized that not much thought is required. However, it's often enough that someone puts some complicated music in front of you and then you'd better be counting. the challenge then is making the music really breathe while having to pay close attention to the page. at the end of the day the slice and dice of it all is very important. it's the command of the tools that allows the most freedom and puts you in the place of getting a groove together. I wanted to comment on how some old men grow old gracefully whilst others grow old grotesquely, and to look at how this effects their take on the markets. I believe that those who age worse often exhibit worse trading symptoms! Ayn Rand used to talk of second-handers: those who derive their self esteem from the perceptions of others, not from objective achievements.One virulent form of second-handedness masquerades as virtue: the need to be needed. I suspect it's behind the overly chivalrous and boastful demeanor, but also behind the pessimism. The doomsayer needs followers who feel endangered and vulnerable. The forecasts of doom make the prophet needed to get through the pending calamity. No one needs a savior if the forecast is for sunny times ahead. By undercutting the sense of security of others, the doomsayer carves out a niche for himself: I will get you through the market panic, the economic collapse, etc. The same dynamic is at work with the seemingly solicitous and chivalrous man who wants his woman dependent upon him. I'm thinking of a couple I once saw in counseling. He refused to let her work outside the home, insisting that he must be the breadwinner. She was bright and talented and, now that the children were older, wanted to work. She took up a hobby (quilting) and became quite expert at it. Eventually her quilts became collector items and she was a hot item on the art festival circuit. He was increasingly threatened by her success and tried to derail it by belittling its importance — all the while maintaining his love for her and his willingness to provide for her. He needed to be needed: his greatest threat was an independent woman. The doomsayer similarly needs to be needed. The confident, optimistic investor is his greatest threat. To become needed, they must make others needy. Such is their benevolence. She divorced him, by the way, and went on to become a successful instructor of quilting and crafts, owning her own business. And 20 years after 1987, we stand at new highs and the doomsayers continue to beat their drum. Odd how we excoriate those who encouraged people to buy stock in 2000, but say nothing about those who counseled against equity ownership for the last 10,000 Dow points. If a physician sickened his patients in order to have a steady stream of revenues, no one would hesitate to call it malpractice. But what of investment advisors who fill their clients with fear in order to sell them services and seminars? "You need not examine a folly", Rand once wrote; "you merely need to identify what it accomplishes". Pessimism and negativity create dependency and a psychological crippling. The need to be needed is a need to undercut the certainty and security of others. That's why it's a "symptom of something worse". I have heard that the cause of Cyril Burt's death was gallantry to women. He insisted on walking a lady back to the subway in the rain, and died of flu a few days later. We often see this trait in old men; an unholy courtliness to women, especially attractive ones, that borders on fixation and would be inappropriate for anyone under 70. Certainly the Greenspan transcript on 9/11, with him showing off that he does not like the cutoff in a certain chart and that he has been fooling with his short wave radio, even as the tragedy unfolds, is a sign of sickness. What is the general tendency of men to be overly chivalrous and boastful? This is something that is a certain mark of decay in people like the Sage, the weekly financial columnists, and the fake doctor. I wonder if this tendency is more prevalent among chronic pessimists, and is it a symptom of something much worse? It makes me think strongly about so many mothers who infantalize their children consciously or unconsciously? This point is not clear to me. Some women may have a real pathological and uncontrollable drive to remain mothers. Their goal seems very clear. Remain a mother. Remain a needed mother. Remain young. Such mothers what to show the neighborhood "see how well I educate my child," and doing in fact exactly the opposite. They actually poorly socialize their kids to keep them dependant on their mom, the "only one able to understand them". The number of very precise and efficient tricks and tactics used to accomplish this is amazing. Of course the concerned child also remain young. At 30 always at mom's home (or in jail), depending on mom's money, etc. Could any child escape this kind of situation? How? It's so cool to stay a child. This seems much more common today than 20 years ago. It is my experience that this situation differs from person to person with aging. Men of an older age tend to view themselves and women in a framework which exaggerates that which they held when younger. In essence, personality tendencies of youth are magnified in adulthood. A depressive tends to become more depressive, a person with obsession or compulsion tends to become more obsessive and compulsive. There are certainly instances where dementia and other sorts of degenerative brain injury can lead people to behave erratically (go naked in public, go after young boys, other inappropriate behavior). For the most part, however, "normal" aging appears to reflect exacerbation of qualities present when they were younger. You will always find those who are a sucker for a pretty face and youthful body (think of any number of women and men who use this and exploit it as a lifestyle). By the same token, misogynists become more so. I believe that these are normal so-called defense mechanisms which individuals use in an attempt to not lose themselves. In other words, the magnification of the personality traits with aging represents the strong need to hold on to those aspects of self which the person senses they are losing. George Vaillant from Harvard has done some very nice lifestyle through the ages work, including study of the ego. I believe his earlier work was a bit more serious than that recently where he appears to be directing more to the masses, happiness and spirituality. "Becoming a caricature of oneself," as I'm fond of calling it, was evident in corresponding for some time with a famous author who had written his magnum opus and done other good work in the '60's. For the next 40 years, he continued to hammer away at the same off-beat theme to anyone who would listen. Increasingly fewer would. His reaction was to pump up the volume. The longer he kept it up, the more tiresome he and his theme became. Rather than appearing to be the life-sized, thoughtful guy with interesting theoretical ideas he once was, he looked to be a ranting, bloated, washed up, parade-balloon-sized radical who hadn't had an original idea in years and couldn't let go. At the time of our last correspondence, he was actually still quite a vital and active near-nonagenarian, and a really nice guy, but who would have known? It makes a pretty strong argument for introspection and re-inventing oneself from time to time. Also, in this respect to 'an unholy courtliness to women,' I highly recommend Memories of My Melancholy Whores by Gabriel Garcia Marquez. A stock character in medieval fabliaux, courtly romances, and in classical drama, the senex amans is an old, ugly, jealous man who is married to a younger, attractive but unhappy woman. He is often a poor lover (or even impotent) with bad breath, wrinkled skin, and grey hair. He is frequently cuckolded by a younger, handsome, virile man who secretly seduces his wife. We find examples of the senex amans in Chaucer's "Miller's Tale" and "The Merchant's Tale," and in various other fabliaux. Likewise, the motif also appears in the medieval French lais such as Marie de France's "Guigemar" and similar works such as Tristan and Iseult. I thought this might be of interest. I wrote it after receiving the umpteenth dire warning of things to come in the wake of the housing market situation. Back in the day (2000-2002), I used to joke that I could time intermediate term market bottoms based on the media requests I received. If the media wanted to hear from the shrink, the odds were good that we weren't far from a bottom. It really worked well as an indicator. Then came the turn in 2003 and no one showed much interest in the shrink's ministrations. Until today. One of the major news organizations wanted the psychologist to comment on how investors can survive this plunge. I actually like my cane very much. It was given to me by a barefoot mentor who taught me to look for market tells. I took it out of the closet after I got the call. Before long, it'll be time for a walk. Henry Carstens's latest article, Introduction To Testing Trading Ideas, is a gem. It walks traders through the process of historical testing, significance testing, and portfolio allocation. I've found this other "how-to" guide to testing informative as well. The market is jai alai. That having been said, I do notice a kind of cultishness to the permabears… it is an ingrained belief that organizes their thinking about markets, the future, etc. The motivation, I suspect, is a desire to belong to a special group that will be spared the oncoming calamity. A few of the women on the speclist, especially Debra Moon, have suggested that by analyzing the contents of this list, they could understand the market. There are many fruitful extension of this rich idea and they inspire the following. One hypothesizes that the more negative the content of posts on a list, the greater the positive expectation going forward. This would be measured by the number of synonyms for good and bad in the posts, according to scales and calibrations contained in the work of Osgood. The same could be done for a column almost invariably as negative in tone as the bifurcated — let us say enigma — that came from us. Its base level is perhaps 95% negative as measured on the Osgood scale. But what about when it moves to 99%. or 91%? The former would occur in those one in three months say that the market goes down, and the latter would occur in a time when the market is at say a 9 month high, like above 1340 in the S&P when all shorts are suffering from squeezitis. So one's predictive regression would also have to take account of the past market move relative to its 90 day high or so. Putting that aside also, one would like to test the negative content of news and reactions adjusted for past price move, the natural tendency to complacency, and the varying degrees of proneness to the overly favorable self reported evaluation of greatness biases, all as a predictor of future market moves. This could be classified by source, i.e. newspaper, email list et al. This is a nice problem in the un-tangling of hypotheses for which the confidence profile method, a method based on the multiplication of likelihoods, would be useful. Yahoo Finance headline appears at 10:30: "Stocks gain as oil prices drop"
new Yahoo Finance headline appears: "Markets give up early gains on XYZ earnings"
Yahoo Finance headline: "Traders buying on positive inflation data"
It just seems that it takes about the length of some moves for the news writers to "see" the move, write it up and get it posted. Just as the number of trades carries more statistical significance than the sheer volume, the number of posts on various lists might carry more information than analysis of content. The content may be subjective but it has appeared that the main list, considered to be mainly bullish, is quite busy when markets are up, but at dark bottoms become almost silent and has been a good indicator for market operations. Another good experiment would be to find a list with a bearish tilt and count the number of posts at recent multi month highs and consecutive multi day highs. This is a methodology to test a contrarian indicator since the market is most bearish after numerous multi day highs, and new monthly highs, and most bullish at dark monthly lows. Underlying this method is the natural herding instinct and the reason markets tend to trend up, then down in cycles. The May down cycle was 6 weeks and 8%, and the recent rally was about 8 weeks and 8%, and whether random or not, retrospectively creates the appearance of a cycle. The perfection and beauty of the wave over so many weeks and months as opposed to the apparent cyclic formations of a random walk , by eye at least, indicate to this observer that more is at work than random forces. If there are larger forces at work it would give a great advantage to a speculator to know by simple time measurement the time for a turn. In any case it is better to buy within a week or two of the bottom rather than buying at the top and selling at the bottom. The measurement of time might have information as distinct from the measurement of price. After 8 weeks up and 8% up do the probabilities favor another 8% move up for the next 8 weeks? Sampling methods on weekly returns might provide an antidote to the insufficient data points. Using the Professor's Fourier analysis (like his work on lunar cycles) on the random samplings versus the actual might indicate whether there are larger cyclic forces at work that might be harnessed. Does the actual have a greater degree of cycles than the random? What is the length of such cycles? A few more ideas: Watching market depth on CME it seems that very high depth, which indicates high liquidity, suppresses price movement and variability, and that a lower amount of depth leads to greater variability. A curious thing happened the other day when Globex went down for a short period, the market had a bit of cheesecake and showed 10 levels of depth rather than the normal 5 for a while, and gave a glimpse into the inner workings normally hidden, like a quick peek behind the scenes. sheer volume and levels of hostility vs. camaraderie/politeness, even snoozeville (as in boring) seemed noteworthy when I first mentioned my observation … I was new to the list at the time and found the peace vs. conflict fluctuations of the posts quite fascinating. I am not sure what it means though, or how to test … whether ipso facto or post facto it is something significant. I do think this would be a very interesting undertaking. My leaning would be to first examine grosser relationships, such as the frequency of posting vis a vis recent (and prospective) price change. I would also be tempted to examine the relative frequency of different kinds of posts (analytical ones, personal ones, etc) in that vein. Yet another measure would be the number of different threads and the extent of participation by various list members. My preliminary hypothesis would be that people are more likely to post to the list and participate in threads during periods of heightened uncertainty. Posting, in that vein, would be seen by a psychoanalyst as a higher order mode of coping: a way of trying to make sense of ambiguity. One of the famous measures of coping styles breaks down the ways people deal with stress into three broad categories: problem-focused coping, emotion-focused coping, and avoidant coping. It would be interesting to categorize posts similarly, viewing the List as a social medium for dealing with uncertainty. Freud postulated that, under conditions of duress, we regress to lower (developmentally earlier) forms of coping. Normal problem-based coping might regress to emotional or avoidant modes. One might expect market inefficiencies to be greatest during times of such regression.